I’ve been playing a lot of the X-Wing miniature game. During that time I’ve amassed a small fleet of Rebel and Imperial ships. 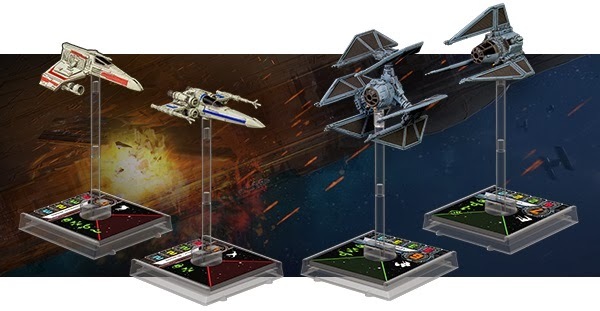 Fantasy Flight had already revealed that there would be an Imperial Aces box set and two larger ships with the transport and blockade runner set to come out later this year. The entire time they were talking about these ships Fantasy Flight assured us that they were not wave 4. Last Friday wave 4 was announced. Consisting of two ships for each faction the newest wave pulls ships from an interesting amount of references. 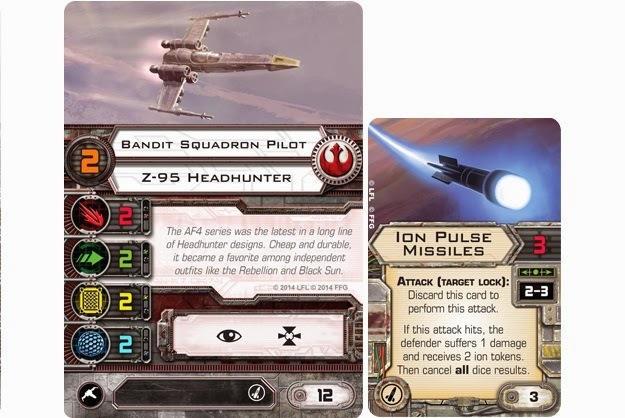 For the Rebels they’ve added the E-Wing and the Z-95 Headhunter. The Imperials are gaining the TIE Defender and the TIE Phantom. The Headhunter is a predecessor of the X-Wing and is going to be a cheap missile delivery ship. The cheapest version will only be 12 points. The E-Wing was supposed to replace the X-Wing and be able to take droid and system upgrade cards. That makes it an expensive ship, the lowest pilot starts at 27 points. The Imperials both pick up expensive ships. The TIE Defender has 3s for attack, agility, hull, and shields. Starting at 30 points it is more expensive than an Interceptor but it is also more durable. The TIE Phantom is a big mystery. It is going to have some kind of cloaking action, but the details on that haven’t been released yet. It also has a 4 attack. A fighter with 4 attack. I’ve never been a fan of the E-Wing so I don’t plan on picking any of them up. They might have great stats but I can’t use a ship I don’t like. It is the same situation with the TIE Defender. There are a lot of people that love it, but I’ve never cared for it. I’m very excited about the Z-95s. They come with the Ion Pulse Missile which places two ion tokens on a ship when they hit. I can’t say much about the Phantom until we actually see how the cloak action works.